WITH the Dáil elections held on February 26 and the Assembly poll carried out on May 5, the two events should never have overlapped. But protracted talks on forming a government in Dublin meant that new ministers were only collecting their seals of office at Áras an Uachtaráin on Friday night, just as the counting of votes was nearing an end north of the border. 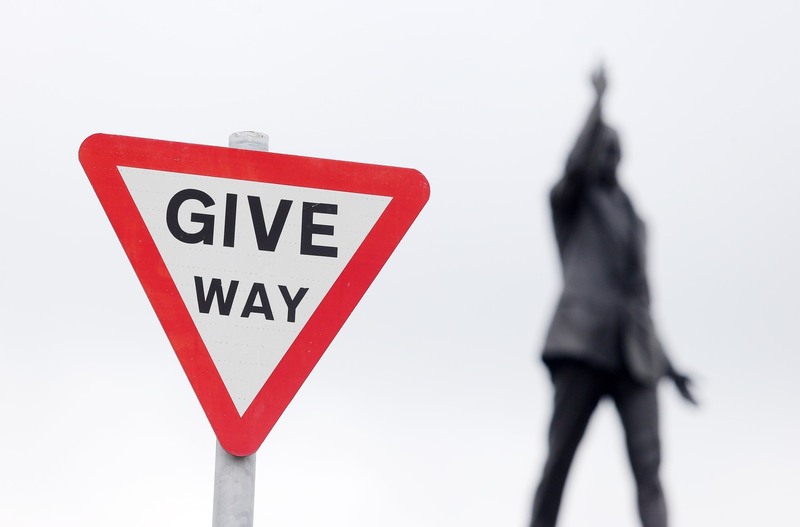 The timing of both events was a reminder of how the elections were connected and how politics at Stormont in particular was recently contorted to suit the needs of the DUP and Sinn Féin. It is now more obvious than ever that the Fresh Start Agreement - billed by the British and Irish governments as a bid to tackle violence and stabilise Stormont - was also used to ease the DUP and Sinn Féin into the electoral battles they faced on either side of the border. The 'Fresh Start' gave Sinn Féin a short-term deal on Tory welfare cuts ahead of the Dáil contest and allowed the DUP to replace its weakened leader Peter Robinson ahead of the Assembly poll. 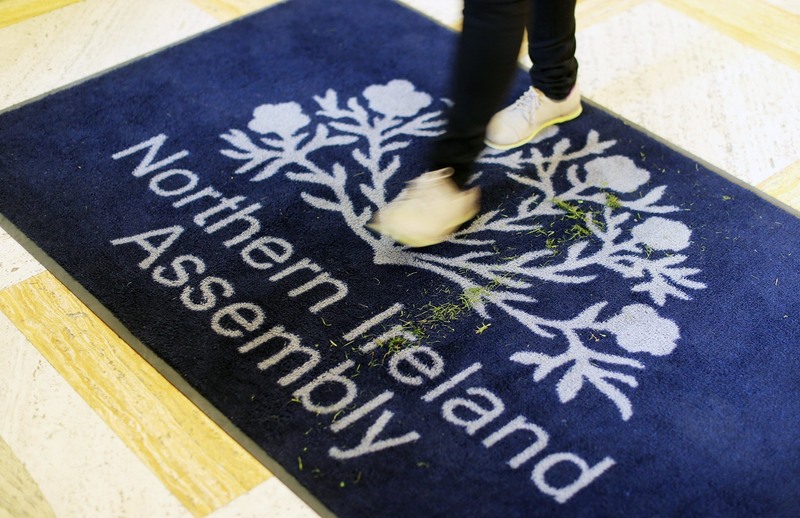 As part of the choreography, all the potentially explosive political questions facing Stormont were conveniently shelved for the duration of the Assembly election campaign. Even by Stormont standards - where elections have previously been ordered or delayed to suit the needs of political parties - the Assembly contest that followed was a carefully choreographed sham fight. Vital issues that voters had a right to hear discussed during the Stormont election were instead delayed until after polling day. That was made possible by the terms of November's Fresh Start Agreement and subsequent manoeuvring at the Assembly. The question of how to tackle ongoing paramilitary activity - highlighted last year by murders and by evidence of continuing intimidation in communities - was postponed until after the Assembly election by the formation of a special task force. The toxic legacy of the Troubles was left deadlocked and put on the long-finger. The huge issue of legislating for abortion was also stalled in the run-up to polling day, while delays in delivering marriage equality were reduced to a political footnote. Hot topics such as parades, the Irish language and flags were also safely tucked away for 'discussion' at a later date. The DUP and Sinn Féin did all they could to clear the election campaign of dangerous obstacles. But instead of being challenged, the two parties who have spearheaded a hugely dysfunctional government since 2007, enjoyed a crisis-free election and were returned to power. Their smaller opponents in the Alliance party - plus the touted 'opposition' of the UUP and SDLP - failed to land a single blow on the 'big two' during the campaign. It fell to voters in the Foyle and West Belfast constituencies - areas with some of the highest levels of unemployment, highest rates of child poverty, and some of the lowest levels of life expectancy - to rock the boat by electing two representatives from People Before Profit. Did politicians get a clear run? The lacklustre Assembly election campaign was characterised by superficial discussions on 'bread and butter issues'. This was safe ground for the two big parties, but it also ignored the major issues facing a society that is still divided along orange/green lines, as was predictably confirmed in voting patterns. Ahead of polling day, The Detail revealed here that there were nearly 4,000 cases of people being forced from their homes by paramilitaries in Northern Ireland over the last decade. That would equate to 10,000 such evictions in the Republic of Ireland, or 132,000 cases in Britain. It's hard to believe that wouldn't be an election issue in London or Dublin, but it didn't feature in Belfast. A critical analysis of Stormont's last Programme for Government (PfG) revealed that nearly half its pledges were not met, while there were question-marks over many of the supposed 'achievements'. The findings, available here, made a mockery of manifesto commitments paraded during the campaign. The PfG review also revisited the scandal of the Social Investment Fund - Stormont's £80million poverty fund delayed in the last Assembly term over what insiders claimed was a row around whether more of the money should go to deprived Catholic or deprived Protestant communities. Politicians made claims, counter claims and denials at the time the story was first reported here. 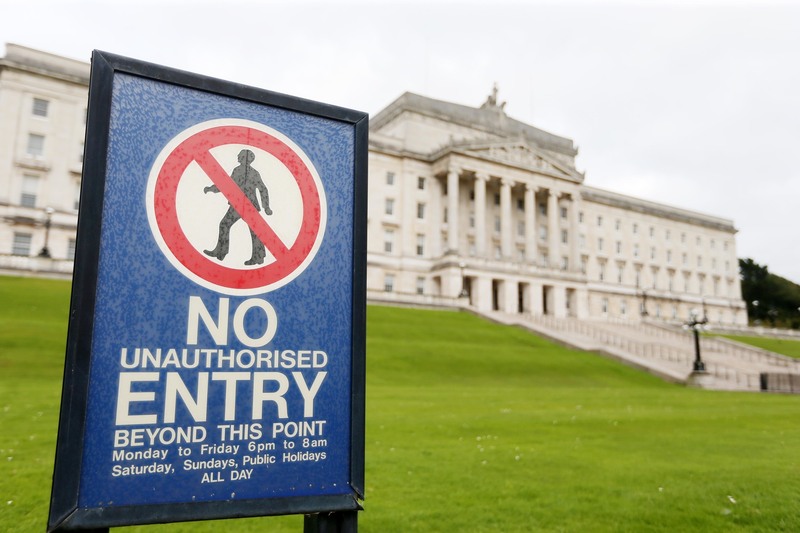 Separate to that, the High Court in Belfast ruled in June 2015 that Stormont failed to meet a legal obligation to deliver an anti-poverty strategy for Northern Ireland based on objective need. If similar questions emerged at Westminster over how poverty was being tackled across sections of society, it's hard to imagine it wouldn't resurface as a major election issue, but it disappeared around Stormont. Somehow, similar amnesia surrounded the scandals over Assembly expenses and the international controversy over the Nama property sale. Voters were also left in the dark about who is funding political parties and what influence, if any, donors secure for their generosity. As a result of all this, political leaders enjoyed a trouble-free election. Ahead of polling day, it was reported here how the new DUP leader Arlene Foster was running a campaign that owed a huge debt to her predecessor. In the time ahead, she may continue to take her lead from the Peter Robinson playbook. It's possible the DUP will return to Robinson's rhetoric on reaching out to Catholics, as an antidote to demographic changes that are eroding the Protestant majority in Northern Ireland. Meanwhile, the pre-election analysis here on Sinn Féin was borne out, as the party again failed to gain the momentum it needs to boost its aims. We can be certain that the two parties will continue to pursue their mutually exclusive agendas. Only time will tell whether they feel under sufficient pressure to deliver on the more mundane business of fulfilling their government pledges.